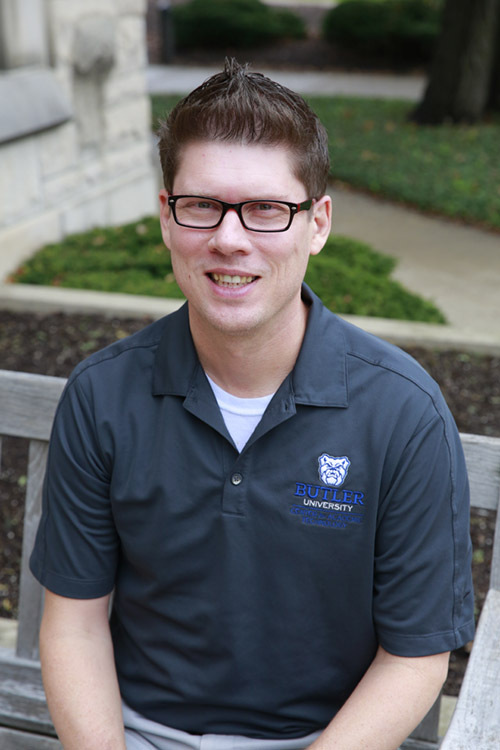 Thomas Janke serves as Director for the Center for Academic Technology at Butler University in Indianapolis. Formerly, he served as Assistant Director for the Indiana University Purdue University Indianapolis (IUPUI) Center for Teaching and Learning. He was raised in Houston, Texas and completed undergraduate studies in Marketing and Music at Texas Tech University (1993). He earned his Master's of Science degree in Music Technology from IUPUI (1999). He also maintains an adjunct instructor position with the Music and Arts Technology department at IUPUI focusing primarily on teaching Music business related courses, online. Lastly, he frequently performs as a bassist in a variety of music groups (e.g. big band, jazz, pop-rock, etc) around the Indianapolis area. His research activity includes cyber-Peer Led Team Learning for which he served on research teams for a National Science Foundation (#0941978) grant and a NGLC grant funded by Educause and the Bill and Melinda Gates Foundation. Feder,E., Khan, I., Mazur, G., Vernon, T.,Janke, T., Newbrough, J., Shuck, L.,Zhu, L., and Varma-Nelson,P. (2016). Accessing Collaborative Online Learning with Mobile Technology in Cyber Peer-Led Team Learning, April 4,vol. 51, no. 2. McDaniel, J.,Metcalf, S., Sours, J., Janke, T., Newbrough, R.,Shuck, L., & Varma‐Nelson, P. (November, 2013). Supporting Student Collaboration in Cyberspace: A cPLTL Study of Web Conferencing Platforms. Educause Review Online. Mauser, K.,Sours, J., Banks, J., Newbrough, R., Janke, T., Shuck, L., Zhu, L., Ammerman, G., & Varma‐ Nelson, P. (December,2011). Cyber Peer‐Led Team Learning (cPLTL): Development and Implementation. Educause Quarterly,34 (4). Janke, T.& Varma-Nelson, P. (2014). Cyber Peer-Led Team Learning (cPLTL). InProceedings of World Conference on Educational Media and Technology 2014 (pp.29-34). Association for the Advancement of Computing in Education (AACE). Janke, T. (2007). Strategies in Implementing a Hybrid Music Podcasting Course. In C. Montgomerie & J.Seale (Eds. ), Proceedings of World Conference on Educational Multimedia, Hypermedia and Telecommunications 2007 (pp. 2821‐2822). Chesapeake, VA: AACE. Young, J., Janke, T. & Huffman, M. (2015, June). Partnering to Create Effective Online Legal Instruction. 2015 CALI Conference for Law School Computing, Denver, CO.
Al Achkar, M., Janke, T. & Jerolimov, D. (2015, April). EBM Teaching in a Flipped Classroom Model: Implementing a Curriculum. Society of Teachers of Family Medicine Annual Conference, Orlando, FL. Janke, T. & Varma-Nelson, P. (2014, June). Cyber Peer-Led Team Learning (cPLTL). EdMedia 2014 World Conference on Educational Media & Technology, Tampere, Finland. Janke, T. & Varma‐Nelson, P. (2012, February) Cyber Peer‐Led Team Learning Implementation and Evaluation. Educause Learning Initiative Conference, Austin, TX. Janke, T. (2010, April) An Overview of Podcasting. A Healthier America: One Community at a Time, A Joint Indiana National Public Health Week Conference, Indianapolis, IN. Singh, J., Tarr, T., & Janke, T. (2009, November). Demonstrating impact of a team-based online course development program. Presented at the Assessment Institute, Indianapolis, IN. Tarr, T., & Janke, T. (2009, January). Jump start: Evaluating a team-based online course development program. Presented at the Educause Learning Initiative Annual Meeting, Orlando, FL. Beasley, J., Janke, T., & Tarr, T. (2008, October). Jump start: A tapestry of online course design and technology. Presented at the Professional and Organizational Development Network National Conference, Reno, NV.